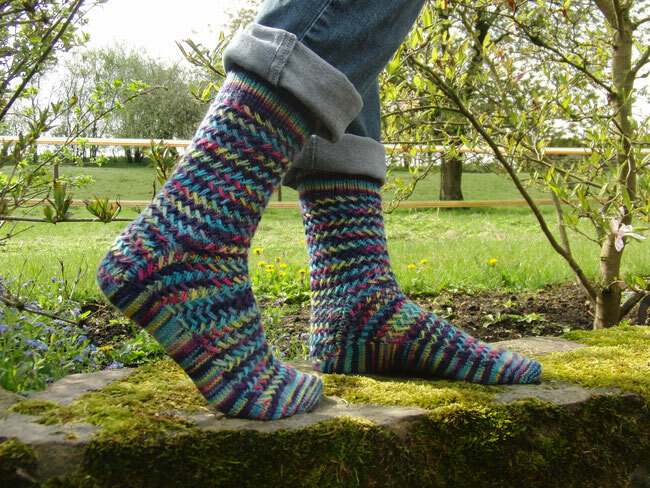 Basketwork Socks - monemades Webseite! The stitch patter works very well with variegated yarns, although it doesn't mean there won't be any pooling at all, since this always depends on the lenght of each colour used in the yarn. 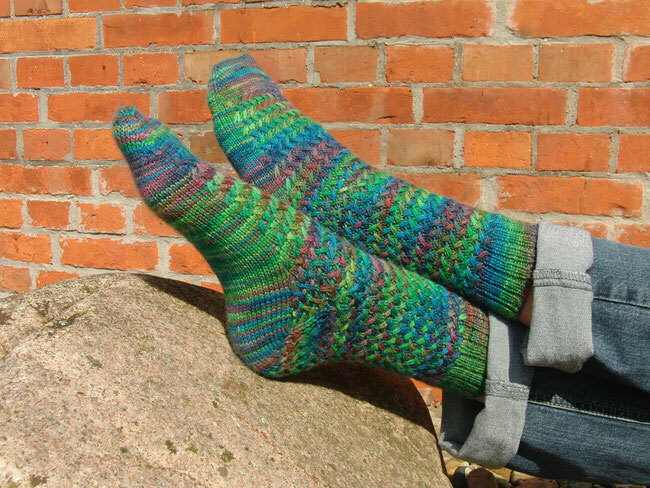 Also, the pattern is quite a 'yarn eater', so if you are knitting for really large feet, you might want to have a second skein of yarn or work the toes and cuffs in a different colour. Alternatively you can adjust the leg lenght - that's one of the biggest advantages of toe-up socks: Just finish the first sock when half of the yarn has been used and you are good for the second sock. My prototype when working on the pattern was knitted in Posh Yarn Martha and in this picture you can see that ther are areas where certain colours 'meet' and start to pool. But it doesn't spoil the nice look, don't you think?